Women’s ‘Lady Dragon 18’ heeled sandals from Melissa’s collaboration with British designer, Vivienne Westwood. 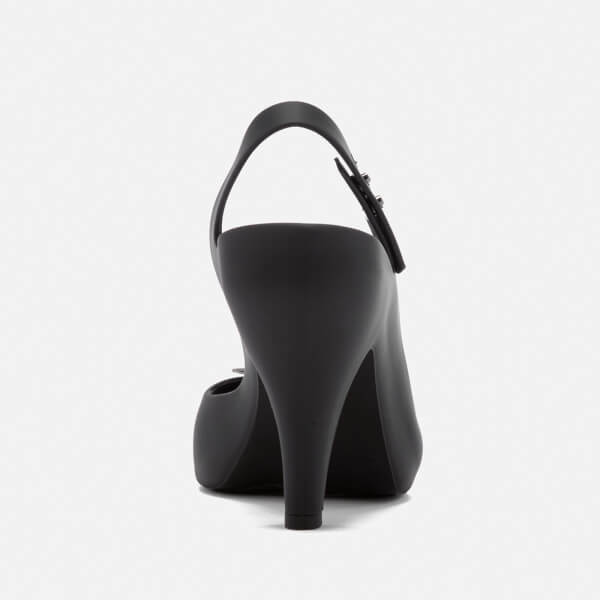 Crafted from ultra-soft Melflex plastic in matte black hue, the shoes comprise a peep toe design with an adjustable, sling-back ankle strap. 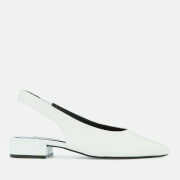 Placed upon a high heel with a textured sole for traction, the heeled shoes are complete with the signature Vivienne Westwood orb logo adorned to the toe in a tonal, gunmetal finish.